For anyone who cuts heavy weight leathers on a regular basis, this saddler's round knife really is the best! 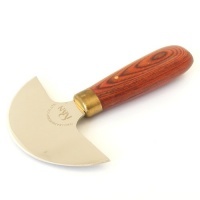 Forged from steel in Sheffield, England using traditional tool making methods, this round knife will last a life time. It measures 5 " across the base. 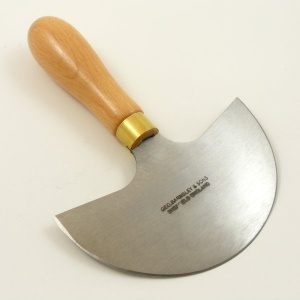 To sharpen a brand new round knife, you need a flat, fine grade sharpening stone. 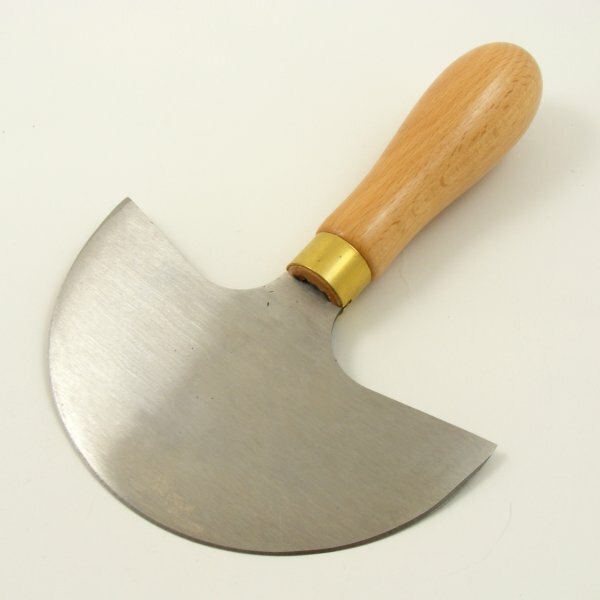 Regular sharpening will ensure that your knife is a pleasure to use. For best results, polish your knife on a strop with jewellers rouge after sharpening on a stone. If you want to fine-tune your leather knife sharpening technique, there are several very helpful video tutorials available to view on Youtube.